Use Go → Send Command... to open a command input window for the current browser. Connected to a FTP server this allows to send arbitrary command not available through the user interface of the browser. Possibly these are extensions to the standard FTP protocol your server may support you can invoke with the SITE prefix. Type SITE HELP for supported commands. 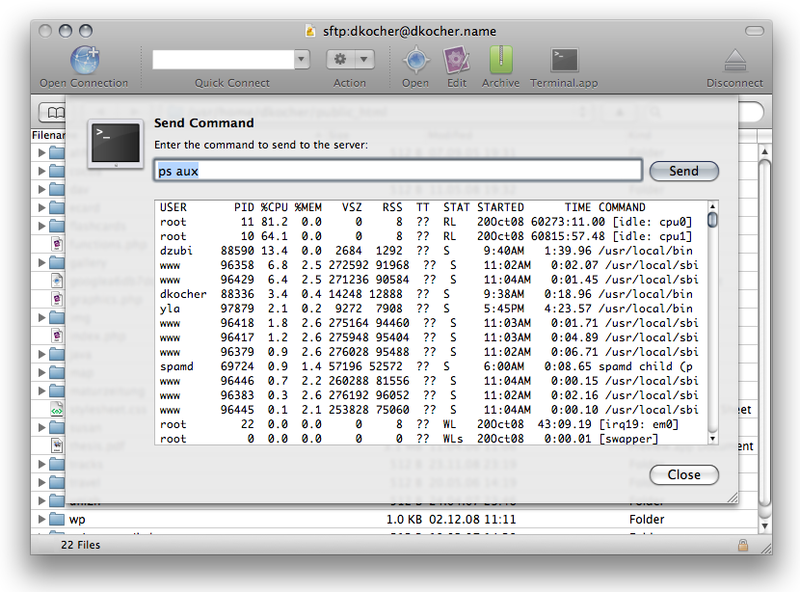 You can send any remote command to a remote SSH server. This is for example useful if you want a HTTP server to reload its configuration or changing the ownership of files using chown on a UNIX system. Note. The current working directory is always your use home. Determine using pwd to get the absolute path.